BABY PRIVATE. AWWH HE JUST HATCHED. 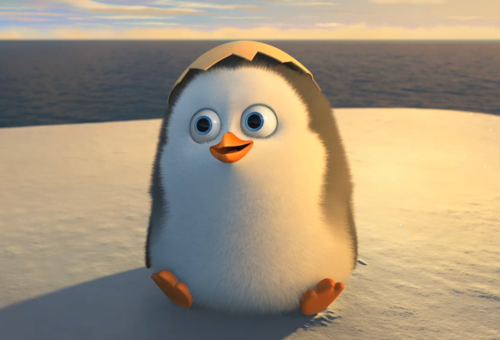 HD Wallpaper and background images in the Os Pinguins de Madagascar club tagged: photo private baby chick hatchling so much awwh. OH MY FISH THAT IS FISHIN' ADORABLE HE'S JUST SO FLUFFY HE'S SO CUTE THAT I JUST SHOVED MY MONITOR IN MY MOTHER'S FACE SO SHE COULD SEE HIM. @FanOfStuff97: YES. Embrace the adorableness, mother. EMBRACE IT! @PB7: Hahaha! I'm sure there is enough cuteness to go around. :') I showed my mum and she was all like, "So, you taking your brother and sister to see it then?" YES, MOTHER, YES. She is understanding my need to see this movie when it comes out. And, damn it, it doesn't come out till December in the UK! @FanOfStuff97: Yeah, all I have is my mom to annoy with POM Movie talk since I don't have any siblings, but I can't wait to go to school so I can annoy my friends with it. *evil laugh* And I know! I heard about that in some other countries, too. I don't think that's fair at all. I think it should be released worldwide simultaneously. But, on the bright side, better later than never, right? @PB7: Oh dear. We should be talking about our baby Private, not about worldwide inequality! Fluff-ball Private is far more important! @FanOfStuff97: Yes, 'tis a much happier thought, anyway! I agree, how could you not? You can not handle the adorableness! @PB7, Leonardthekoala & Skipper246: I'm gonna explode into glitter and sparkles when I watch this scene. I'm not gonna be able to handle this much adorableness on screen..
@FanOfStuff97: I KNOW! He's so fluffy I'm gonna die! @PB7: OMG, I just hope they do soft-toy merchandises of these cuties! 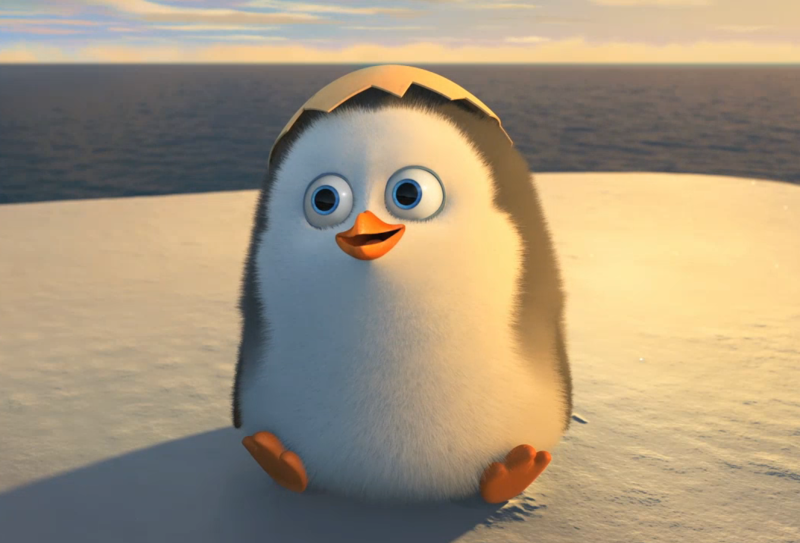 This is the most adorable little penguin I have ever seen in MY ENTIRE LIFE! :D :D :D Private, why do have to be such a fluffy ball of adorable? @FanOfStuff97: *LE GASP* YEEES! GENIUS! @PB7: I CAN ALREADY FEEL THE SNUG SOFTNESS OF THE CUDDLIEEESS. @PB7: HAVE YOU RECOVERED NOW? @FanOfStuff97: *in my sleep* I FLIPPIN' WILL. awww ... just sooo adorable! I don't think you should let any Rico fan see this though, because their computer screens might end up under tons of hacked up food! Private is adorable!! I'm a Private penguin fan, anyone else? desenhos animados cantar the nick song!